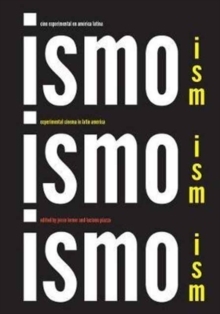 Ism, Ism, Ism / Ismo, Ismo, Ismo is the first comprehensive, United States-based film program and catalogue to treat the full breadth of Latin America's vibrant experimental film production. The exhibition features key historical and contemporary films from Argentina, Brazil, Bolivia, Chile, Colombia, Cuba, Ecuador, Mexico, Paraguay, Peru, Uruguay, Venezuela, Puerto Rico and the United States. From innovative works by Brazilian artist Helio Oiticica and Mexican photographer Manuel Alvarez Bravo to the breathtaking yet practically unknown ouevre of queer Ecuadorian filmmaker Eduardo Sola Franco, the exhibition takes both the aficionado and the open-minded viewer on a journey into a wealth of materials culled from the forgotten corners of Latin American film archives. Equally unprecedented in its approach and scope, the accompanying fully bilingual catalogue features major scholars and artists working across nationalities, mediums, and time periods. Lerner and Piazza assemble a mix of original content authored by key curators, scholars, and archivists from Latin America: eighteen essays and articles translated for the first time pertaining to the history of Latin American experimental film, historical image-documents that are fundamental to the history of experimental film in Latin America, and program notes from the exhibition's programs. The collection is an invaluable resource for scholars, curators, artists and others interested in the history of Latin America, modern art, experimental and avant garde film, political and Third Cinema, and other noncommercial cinemas. Published in association with the Los Angeles Filmforum, and as part of the Getty's Pacific Standard Time: LA/LA.